The central theme of my research program is to study the chemistry and biology of lipid oxidation and its role in human metabolic and neurological diseases. My main research interest aims to understand the role of oxidized sterols (oxysterols) in the pathophysiology of Smith-Lemli-Opitz syndrome (SLOS), a cholesterol biosynthesis disorder that affects central nervous system development. SLOS manifests in a broad spectrum of phenotypes including multiple congenital malformations, neurological defects, intellectual disability, and behavior problems. Over 70% of SLOS children display one type of autism spectrum disorder. Our goals are to examine the effect of these oxysterols on lipidome by mass spectrometry and transcriptome by qPCR and sequencing. 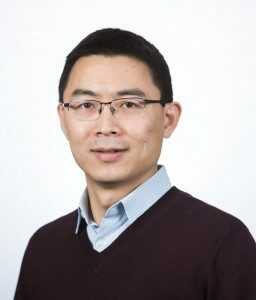 Our research contributes to a broader understanding of intellectual and developmental disabilities, particularly disorders of metabolism that affect brain function and development.Another aspect of my research is to elucidate the effect of known drugs and other environmental toxins on lipid metabolism in cells and animals, aiming to test a link between environmental factors and neurodevelopmental and neurodegenerative diseases. We are particularly interested in the effect of antipsychotic drugs on the central nervous system.